Connections between your devices can be made by using the Mastervolt UTP cables. 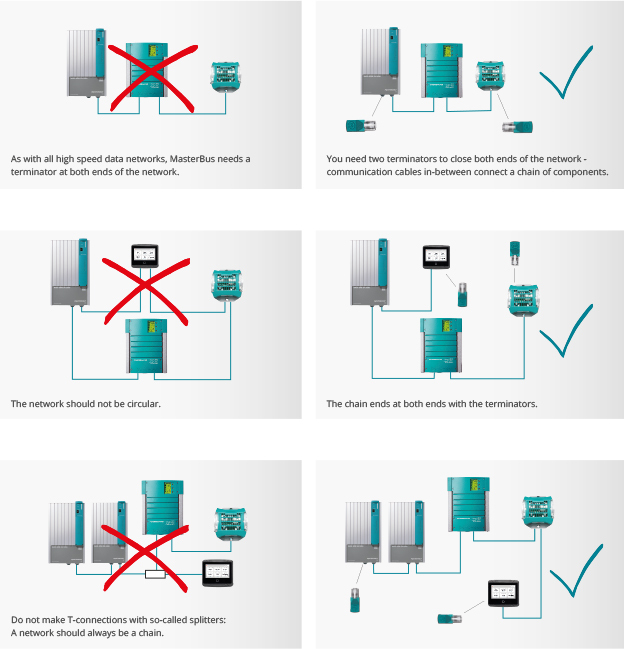 The electricity needed for the network is supplied by the connected devices. At least one in every four devices in each network must be able to supply power to the MasterBus. For eight devices there must be two power suppliers, etc.